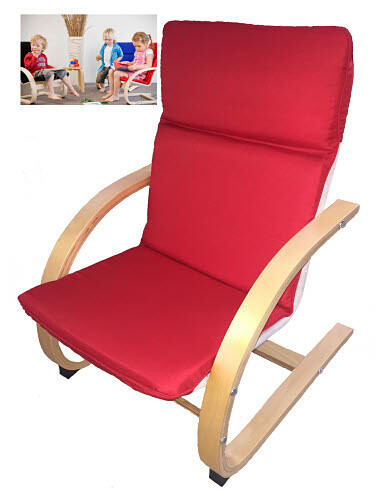 Watch them sit back and relax in this great rocking chair! This lightweight, durable and airy chair will cheer up any space in the classroom library or at home in the lounge or gaming room. Its unique cantilever base is constructed from attractive bentwood attached to a metal frame and finished in an attractive veneer. The 100% cotton cover is removable and machine washable to keep this beautiful chair looking like new! Great for gaming, reading or just plain lounging, this Chair is the perfect addition to your home or classroom. •Easy assembly- fewer parts and shorter assembly time.